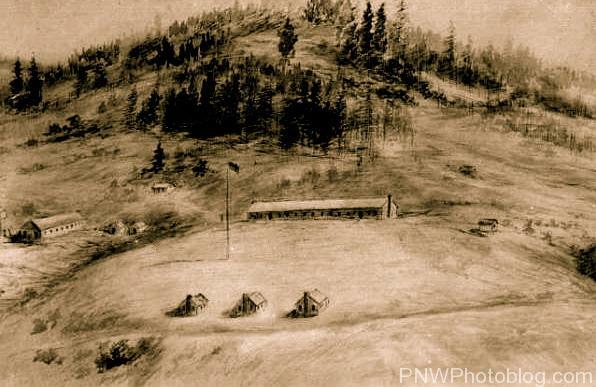 Fort Hoskins was one of three forts built in the Oregon territory to protect white settlers from coastal indians on the Siletz Reservation and to protect those same indians from white settlers. By all accounts from both military records, and from journals kept by two soldiers stationed at the fort, it was a lonely and quiet post. But, Fort Hoskins and its northern twin, Fort Yamhill had solid connections to the American Civil War. 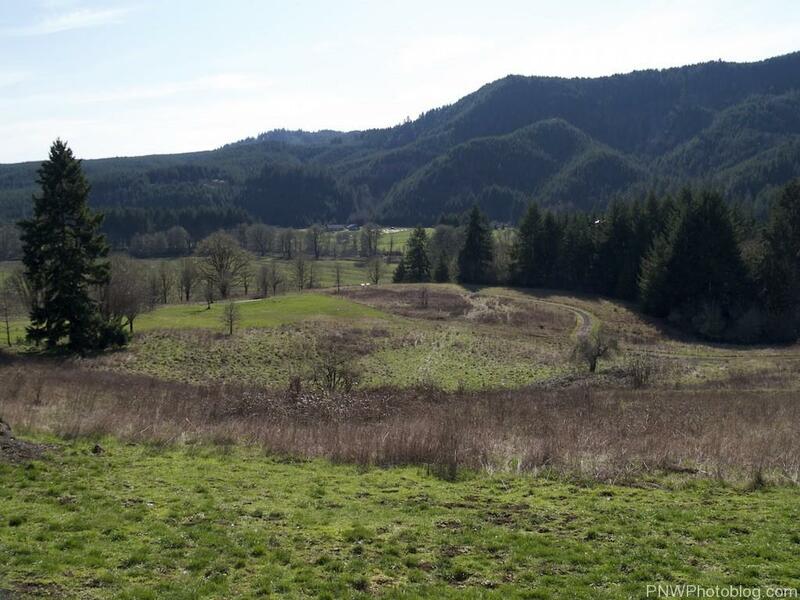 The third fort was Fort Umpqua to the south. The first connection was in the person of Captain Christopher Columbus Augur. Already a veteran of the US-Mexican War, he would later go on to become a general during the Civil War commanding a division in one of the Civil Wars last battles at the siege of Port Hudson. He was also in command of the troops protecting Washington D.C. and commanded the detail of soldiers who marched with Abraham Lincoln’s body. After the war he would play a major role in Indian negotiations in the midwest. At the command of Brig. General John E. Wool, Captain Augur scouted the site of Fort Hoskins. He located it on a ridge above the Luckiamute Indian trail and near the community of Kings Valley. 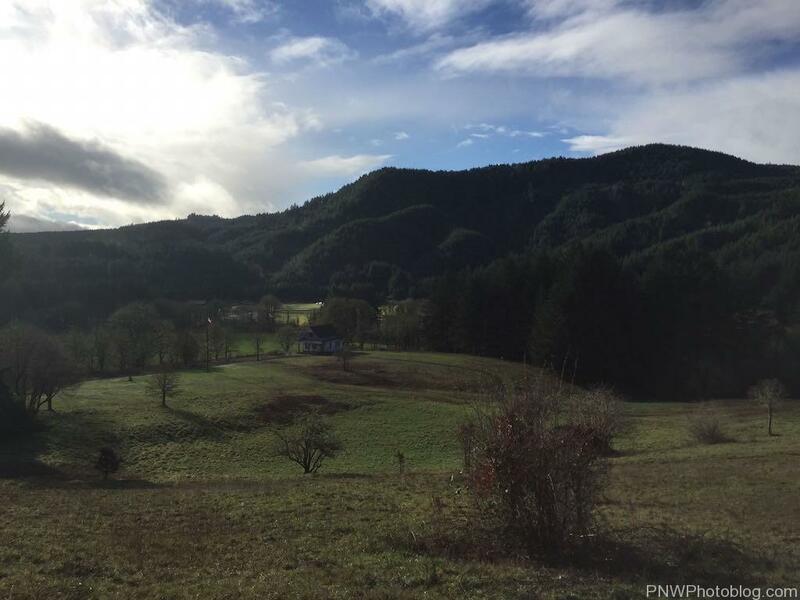 The location was ideal as it watched over one of two trails into the Siletz Valley and Indian Reservations, and was able to draw upon the local community for goods and services when needed. The “fort” was constructed during the winter of 1856-1857 by a second Civil War connection, General Philip Sheridan whose calvary was instrumental in forcing the surrender of Gen. Robert E. Lee at Appomattox and thus ending the Civil War. Unfortunately Sheridan was only a lowly second lieutenant and the most junior officer at this time. He was originally assigned to Fort Yamhill, but was detailed to build a military road, build and garrison a couple of blockhouses closer to the reservation, and was in charge of building Fort Hoskins. After the Fort was built, he would remain there as Quartermaster. The fort itself wasn’t a traditional fort. It lacked any type of fortifications except a guard house that was mostly used as a jail. It had 15 to 20 buildings arranged across the bluff around a 100 foot tall flag pole. The entire place was surrounded by a low picket fence. By the time the Civil War broke out in 1861, Fort Hoskins was no longer needed. It’s soldiers were redeployed to the East Coast and fort was garrisoned by Union volunteers from California and Oregon. It was finally shut down on April 16th, 1865 and all the property was sold at auction. Many of the buildings were moved to nearby towns, although Samuel and Mary Frantz lived in the hospital until they built their own home nearby. The town of Hoskins sprung up next to the fort site, built with some of these buildings. Unfortunately all these buildings now seem to be long gone. 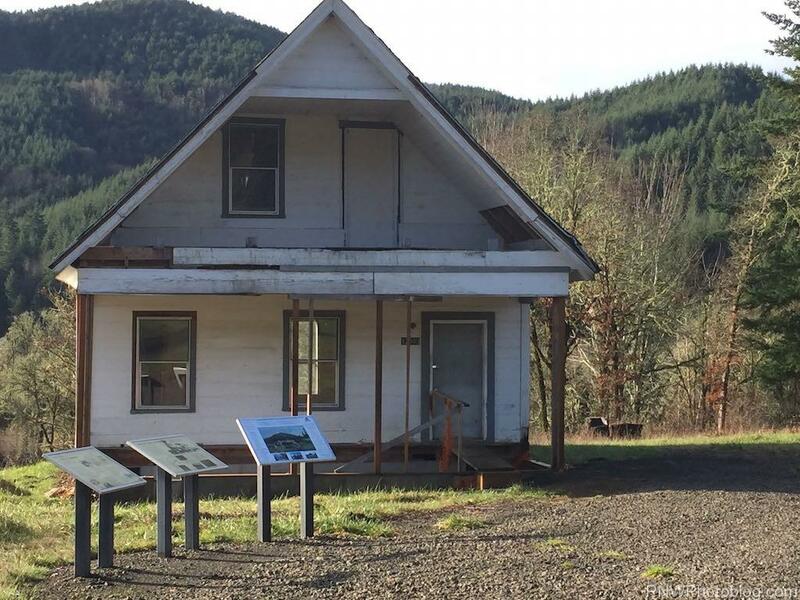 Despite that, during the Civil War the fort was of interest to both the South and Southern sympathizers living in the Oregon Territory at the time. 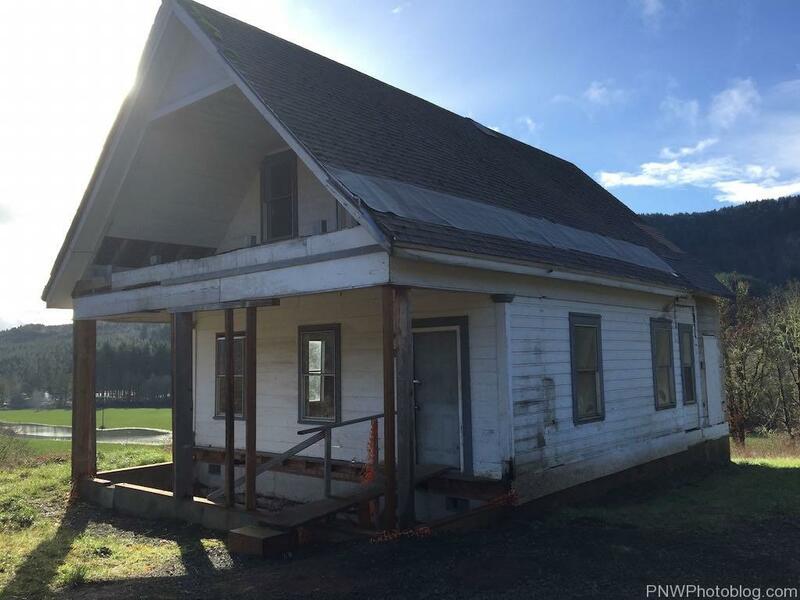 One of them, The Knights of the Golden Circle, headquartered in Monroe Oregon reportedly drew a crowd of 1000 people to attack and seize the fort and the ammunition and guns stored there. It is also reported that the crowd was too drunk to do so. The fort site was added to the National Register of Historic Places in 1974. Benton County took over the site in 1992 and have restored it as a park. Since then it has undergone multiple archeological digs led by David Brauner, an archaeologist at Oregon State. The most interesting event though is that one of the original buildings was found in nearby Peedee and has been returned to the Fort’s grounds. This house was thought to have been Captain Auger’s quarters during his stay here. When it was sold it was dismantled and floated down the Luckiamute River. It was moved back in 2012 and has been erected on it’s original site. *Update* Since this original writing, one of the Fort’s original buildings has been moved back to the Fort. Ben Maxwell took a picture of it in 1959 where it was located in the town of Peedee. Marcus Gilliam purchased the building in 1865 when the fort closed and floated it down the Luckiamute to what would become the town of Peedee. 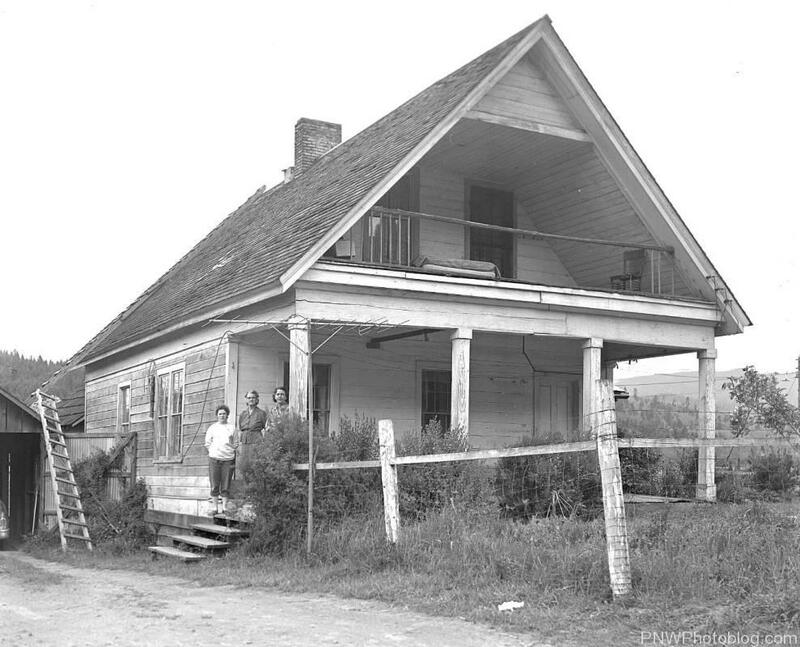 William Condron purchased the house and farm in 1929 from the Gilliam Family. It was identified again as belonging to the fort in 2012, and moved here in 2013. Since then it has been undergoing preservation and reconstruction. Directions to Fort Hoskins. From Salem Oregon, head west on Highway 22 to Rickerall. Take a left onto Highway 99W, and pass through Monmouth Oregon. At 7.3 miles turn right onto Airlie Road, until you get to Airlie (the town was not marked on my 2013 visit, so watch for the road signs.) Turn left onto Maxfield Creek Road. At 7.4 miles turn left on to OR-223 S. It should be marked with a sign pointing to Kings Valley and Peedee. At 1.5 miles turn right onto Hoskins road. At about one mile you’ll see the Frantz-Dunn House on your right. The Park’s entrance is another half mile on the right. thanks for the info. I was born in Kings valley or. across from the old store, in1935 we lived at the Old Miller place. I was told some of the buildings were from Fort Hoskins. Thank you for stopping by Shirley! 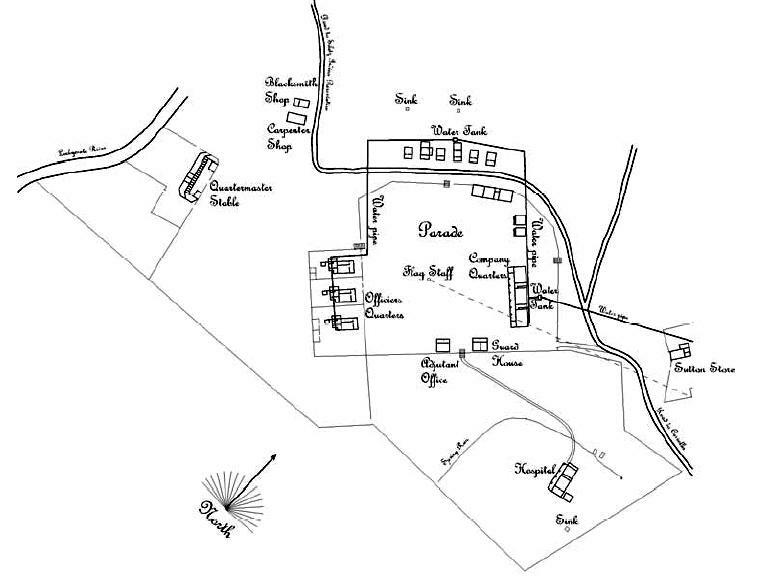 Do you happen to know which buildings in Kings Valley were supposedly from the fort? Also, do you have any pictures or stories you’d be willing to share about King’s Valley?